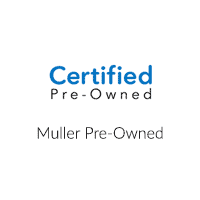 We’ll take you through what you need to do step-by-step at Muller Honda Pre-Owned. There are plenty of used vehicles out there, like used Honda Civics, and no shortage of dealerships around Chicago. Yet drivers continue to come to Muller Honda Pre-Owned because we offer great trade-in value and a large selection of used and certified pre-owned cars. It’s up to you to decide on mileage: savings or peace of mind on the Arlington Heights streets. A certified pre-owned Honda can split the difference, too. Even if you don’t know heads from tails under the hood, it doesn’t hurt to take a look and make sure things look tidy — check the battery for any corrosive build-up on the terminals, too. Once you’ve found a used car you want to drive home to Gurnee, it’s time to take it for a spin. Test driving a used car is as simple as reaching out to the dealership and scheduling your test drive. It’s good to head out onto a beltway or a highway to get a feel for the engine as well as a drive around town. It’s important to reach out early, though, as each used car is unique and you don’t want someone else to buy your dream car. You should find a wide selection of used Honda vehicles and non-Honda vehicles in our inventory, including a selection of budget-friendly cars priced to sell. Contact us today.